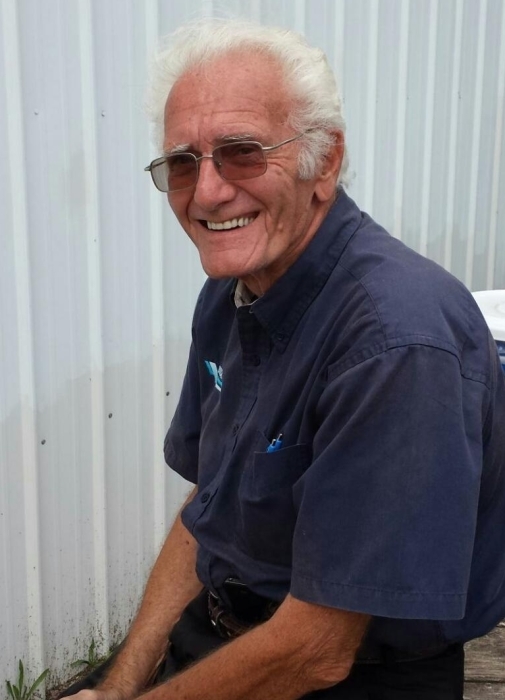 Robin “Rob” Charles Nuttall, 84, of Bellview, Florida passed away on March 30, 2019 surrounded by loving family and friends. Rob was born on August 28, 1934 in New Bedford Massachusetts, to Fredrick Nuttall of Liverton, Rhode Island and Olivia Fernandes of New Bedford, Massachusetts. He graduated from St. Andrews Christian Academy. Rob worked in sales for many years but his daughters’ love for showing horses and his entrepreneurial prowess brought him into the business of show and race horses. Rob established his own line of horse products and line of racing sulkies. He branched out in the travel agent business for both horses and people. Rob eventually sold Bloodstock Travel to Brook Ledge, Inc. Horse Transportation. Retirement was not on Rob’s agenda for a good life and he worked with them until his passing. But in his spare time he enjoyed traveling, gardening, socializing with family and friends, watching sports and rooting for the USC Gamecocks. Rob would always bring a smile to your face with his rapier wit and could “cut a rug” with the best of them. Rob was predeceased by his parents and stepson, Chuck. He is survived by his wife Wanda, his sister Karole Jane Guidry of Baton Rouge Louisiana, his daughters Valarie Frascella of Vineland NJ and Vicki Harper of Sunset Beach NC, step children Eddie & Pam Smith of Kermit WV and Mary Ann Adkins of OH. He is also survived by his grandchildren and a beloved friend, Brian Roberts, who was like the son that he never had. Rob was loved and admired by all who knew him. Our family wants to thank Brad Gotwals and the wonderful people at Brook Ledge Horse Transportation for embracing Rob’s strengths, skills and charms. You all were his second family and supported him through thick and thin. In lieu of flowers Mrs. Wanda and the family requests that memorial donations be made to St. Jude Children's Hospital in Rob's Memory.